Euro continues falling down and isn’t likely to make a reverse in the nearest future. It means that the bears should find themselves new targets. We can’t exclude a possibility that the price may reach the level of 78.6% from the descending movement that took place in February and March. The confirming level is the one of 100% (extension) from the latest descending movement. There is a possibility that Euro may start a correction during the day. The temporary fibo-zones indicate that the Euro may reach the target levels in the beginning of the next week. If the pair rebounds from the level of 78.6%, the price may start a correction. 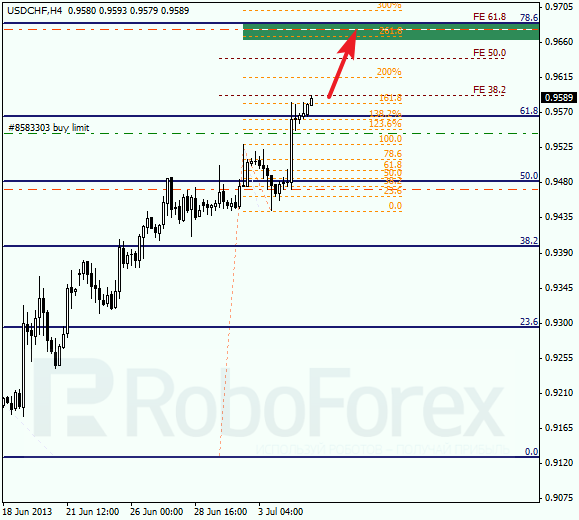 Franc reached its predicted target at the level of 61.8% and broke it. The next target for the bulls is at the level of 78.6%, where there are several more confirming fibo-levels. 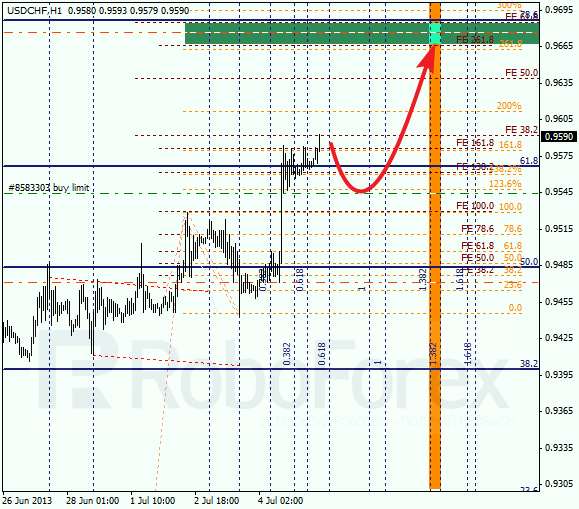 As we can see at the H1 chart, the ascending movement is slowing down. I’m planning to open buy orders during a correction, that’s why I’ve already placed a limit sell order. According to the analysis of the temporary fibo-zones, the upper levels may be reached next Monday or Tuesday.